Raw/live medium to large choice oysters. We carry a variety of Oysters from PEI, New Brunswick & Nova Scotia. Our flash frozen wild caught jumbo shrimp come raw in 1 lb bags, fully cleaned tail off and peeled. They are 16/20 count per pound. We sell our salmon by the full side which are around 3.5 lbs each or you can buy an individual fillet. Our King Crab is pre-cooked and flash froze so you just steam it in an inch of water for 6-9 minutes until hot or just simply let it thaw. It’s big crab with legs weighing between 0.5 lb – 1.3 lb each. 1 lb bags of top-quality lobster meat. Each bag contains 3-4 whole shucked lobsters that were cooked in ocean water. Just thaw and eat. Our flash frozen squid tubes come fully cleaned in 2.5 lb packages. 1 lb bags of flash frozen smoked mackerel, skin on the back. 1 lb bags of flash frozen breaded bar clams. 1 lb bags of flash frozen halibut cheeks. 8 oz raw, flash frozen lobster tails. 1 lb bags of flash frozen cod cheeks. 1 lb bags of flash frozen cod tongues. Our flash frozen halibut steaks range from 0.75 – 1.50 lb in size each. Our fish cakes are made with PEI potatoes, salt cod, egg and onion. They come frozen in a pack of 6 and are the size of a hockey puck. Chunks of lobster meat with our special mayo mix served on a fresh baked bun with a side of potato chips and a drink. Available flavors are lemon pepper, roasted garlic, Canadian maple and cajun. They come in 0.8 lb bags. Available in 2.5 lb or 5 lb bags, they are live/raw. 1.25 lb fresh ocean cooked lobsters. We get our lobsters from where ever they are currently being fished on the East Coast. 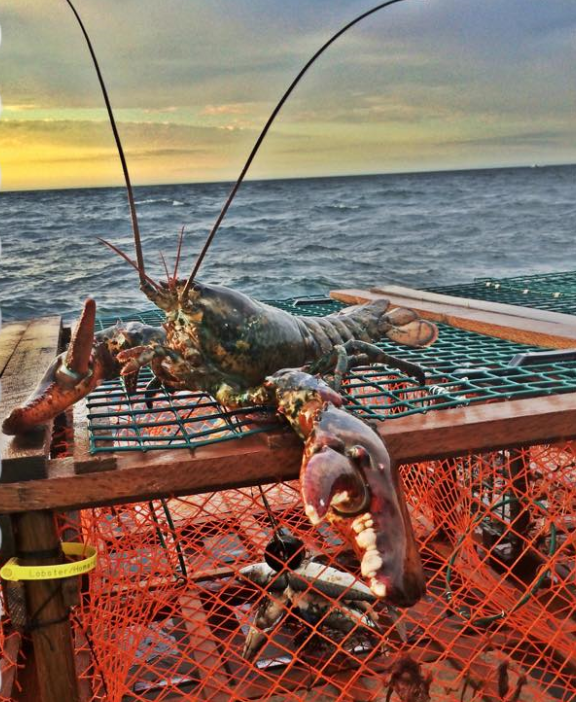 We bring in live lobsters on pre-order/pre-payment, 10 lb minimum order, any size available. Our live lobsters come right from the ocean, get packed into coolers with gel packs and shipped immediately. 1 lb bags of flash frozen Digby, NS scallops, 10/20 count. 10-12 oz snow crab clusters. Ocean cooked and flash frozen. 10 oz steaks, sushi grade. Fresh cod fillets in 1.4 lb bags. 1lb bags of flash frozen ocean cooked snow crab meat. Fresh haddock in 1.4 lb bags. Our Dad was concerned people may be wasting valuable parts of a lobster while shucking them so we had him do a tutorial. "My most favorite truck ever!! All the seafood is absolutely amazing. Always super happy when it comes my way!!" "Thank you for the best lobster! From a Maritimer such as myself it was the taste of home I needed. Thank you for coming to our town and sharing your delicious seafood." "The best haddock I've had in the 19 years I've lived in Alberta... Thanks so much!" " These guys are great I've been going to them since they were little at the St. Albert market! They are much bigger now lol but great quality seafood!" "Trying not to inhale the last of my lobster roll! " "Being from the East Coast its soooo nice to have somewhere to finally get good quality seafood that comes with great service! Thanks so much, you have a new fan and I'm spreading the word! " "THANK YOU again for providing us with the best lobster this side of Halifax!!!! Can't hardly WAIT till you guys are back!!!! DEEEE-licious!!!" "Just scarfed down 2.5 pounds of your PEI mussels and they were awesome... Can't wait to have the fish cakes and try the cod cheeks....THANKS for stopping!" "Best shrimp we've ever ate, thank you Lobster Mobsters! " "I love The Lobster Mobsters, the best seafood in the west"